Xiaomi is kicking off its TV manufacturing operations in India with the assembly of its 32-inch and 43-inch models of its Mi LED Smart TV 4A. 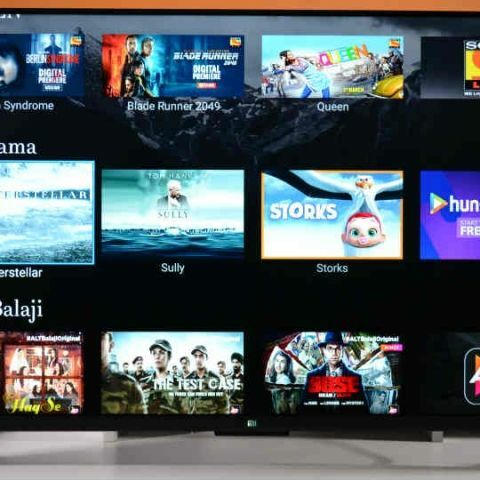 Xiaomi has announced that it will now locally manufacture its Mi LED Smart TVs in India. The company has teamed up with Dixon Technologies to do so in Andhra Pradesh and it will be starting the local assembly with the 32-inch and 43-inch variants of its Mi LED Smart TV 4A. Xiaomi says that this move will provide jobs for 850 people and result in a production capacity of 100,000 Mi LED TVs per month by Q1 2019. Xiaomi, India’s number 1 smartphone brand today announced local manufacturing of Mi LED TVs. Taking another step towards its commitment to Make in India, Xiaomi has partnered with Dixon Technologies to locally manufacture its range of Mi LED TVs in India. The new Mi LED TV manufacturing plant, built in partnership with Dixon Technologies is located in a campus in Tirupati, Andhra Pradesh with a total campus area spanning across 32 acres. The factory with Dixon Technologies now employ more than 850 people. The factory will result in a production capacity of 100,000 Mi LED TVs per month by Q1 2019, during operational hours which if laid down covers more than 11 football fields* of surface area. The new Mi LED TV manufacturing plant will start local assembly with Mi LED Smart TV 4A 80cm (32”) and Mi LED Smart TV 4A 180cm (43”) for now. Recently, IDC announced that Mi LED TV has become the number 1 Smart TV Brand in India as per Worldwide Quarterly Smart Home Device Tracker, 2018Q2. Service center of xiaomi in india?? how to buy a xiaomi redmi 1s in india?